Helloooooo!!! Welcome to day three of our new release hop week. Thank you for all your positive feedback regarding our new Bow Dies! They are FLYING out of here! YAY! I'm so glad you like them. 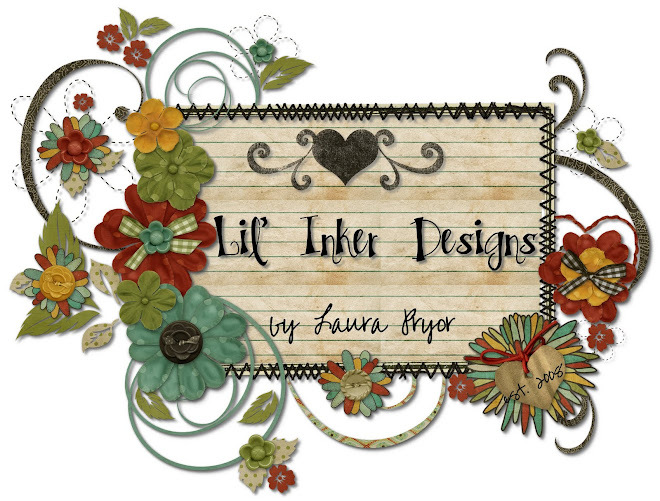 TODAY, I'm excited to release not only a new goodie but to introduce a BRAND NEW PRODUCT into the Lil' Inker Family! Introducing the first release from our new Texture Plate Collection...Frame 1! Our new Texture Plate is double sided and perfectly embosses a frame on an A2 sized card. Side A embosses a woodgrain frame with an inset, dotted frame and Side B embosses a simple or plain frame (complete with mitred corners) and also has an inset, dotted frame. I really thought it would be so fun and so clever to give the focal images of your projects center stage by framing them with a beautiful but soft background with one easy step! And this really is beautiful in person. The dotted frame in the center is raised in your paper and I think it makes all the difference! What's also neat about our Frame 1 Texture Plate is that depending on how you cut and score your cardstock it works perfectly for a horizontal or vertical card layout! In case you have not yet worked with an embossing plate, it's different than an embossing folder in that it only adds texture to one side of your card. When I used our new texture plate I lined everything up (paper to plate) by eye and then I added a tiny piece of tape to keep my alignment as I passed through my machine - works like magic! 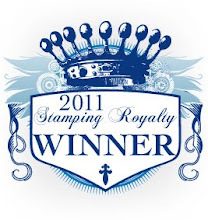 And speaking of using these plates...I have found that you truly get THE BEST impressions with an Embossing Pad Kit SO MUCH SO that I am stocking them in our store. Our Embossing Pad Kit contains 2 rubber embossing pads, 1 thick and 1 thin. It's the combination of these 2 different thicknesses that gives the perfect impression in your paper. I've tried a lot of different things...shimming 1 pad with paper, expensive crease pads and let me just say this is THE BEST $6.99 I've ever spent!!! LOL!!! 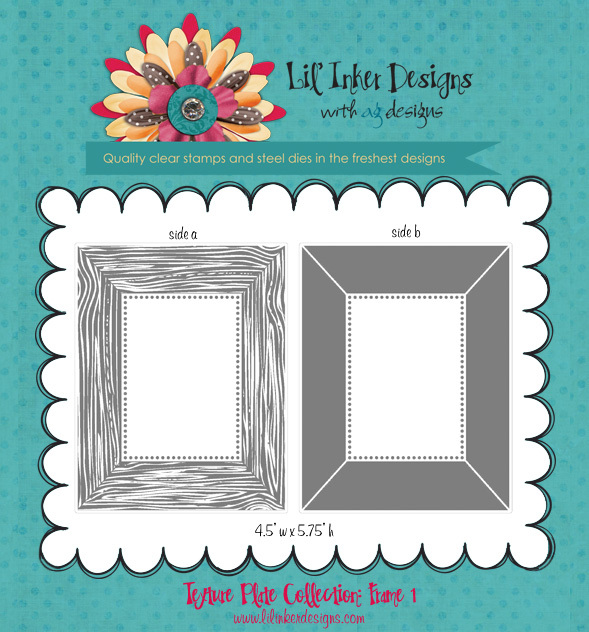 If you purchase our Texture Plate Collection: Frame 1, for a limited time you can also purchase our Embossing Pad Kit for $5.00 (regularly $6.99) if you use the code EPKIT5 at check out. Again, it's not something that you have to have to use our texture plate but I really recommend it for a clean, crisp and true texture! Ok, enough CHIT CHAT! Let me show you a project! 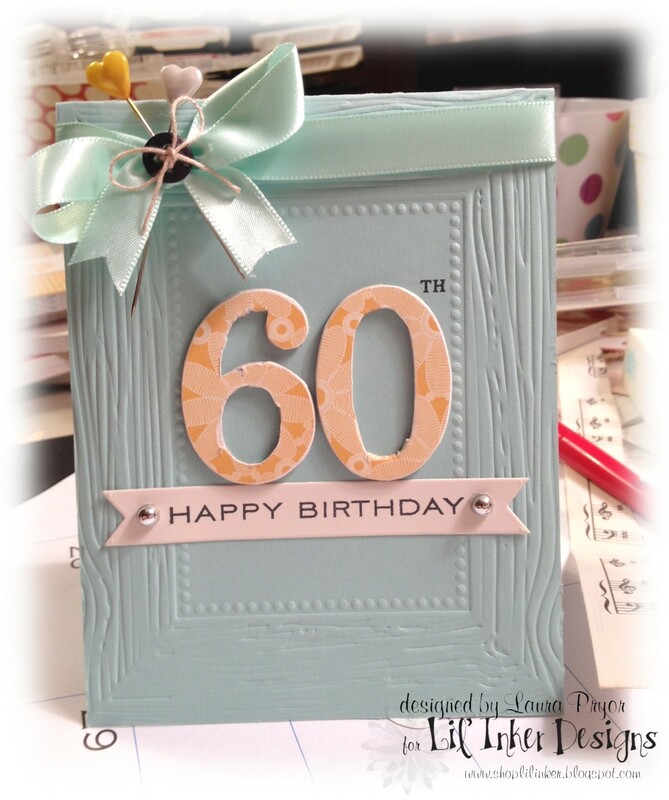 I think this card is a really great example of how you would incorporate our Texture Plate into a simple project! It basically did all the work for me. I added a simple sentiment on our double ended banner die from our Flags & Tags Die collection and I covered some chipboard numbers with patterned paper. I think this project took less than 10 minutes. Admittedly, I could have spent longer making my numbers a little neater looking...but no one's perfect, right? HA!!! My aunt loved her handmade card so that's what counts! LOL! I also used our new Texture Plate: Frame 1 in my post from yesterday which you can see HERE. Do you love this new product? I hope so. Ariana and I worked so hard to design this for you and to bring you the first in a series of texture plates that we think you are going to love love love!!! Ariana worked especially hard to design the woodgrain texture. A round of applause for her please! She's so amazing at what she does!!! Love that gal! ...I digress! Ok, so before I send you on your way here is my daily reminder to leave some love along your travels today and all this week so that you can be entered to win one of two amazing prizes; a Sentiment Flag Additions Die and Stamp set and a $10 credit. Remember, today is day three of our hop. Monday and Tuesday we release our Large and Small Bow Dies and seriously, if you're just joining us PLEASE go back and look at our previous posts. I truly think that our Bow Dies are something that EVERY PAPER CRAFTER will love working with! OH and speaking of Bow Dies... Are you on Facebook? Lil' Inker is giving away 2 Small Bow Dies through Paper Crafts Magazine's Facebook page. To participate and be entered to win, click on THIS LINK and then leave a comment on the photo about what you'll be doing to celebrate Mother's Day! Easy Peasy and I will be picking 2 winners in a few days! YAY! OK, now HOP! 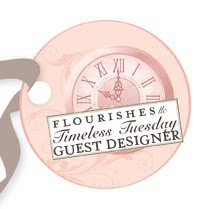 :) You can head on over to Amy Kolling's blog to see what deliciousness she has for you today! Enjoy!! Thank you for joining me today!! Love it! I can't wait to try it out!! These new impression plates are amazing! Love the frames--esp the woodgrain and the dotted frame within. Great card! I love the woodgrain frame! Gorgeous! Love the colours you've used together!